The DivMMC EnJOY! rated 10/10! Jamie Battison did a great review of the DivMMC EnJOY!. It got a score of 10 out of 10! 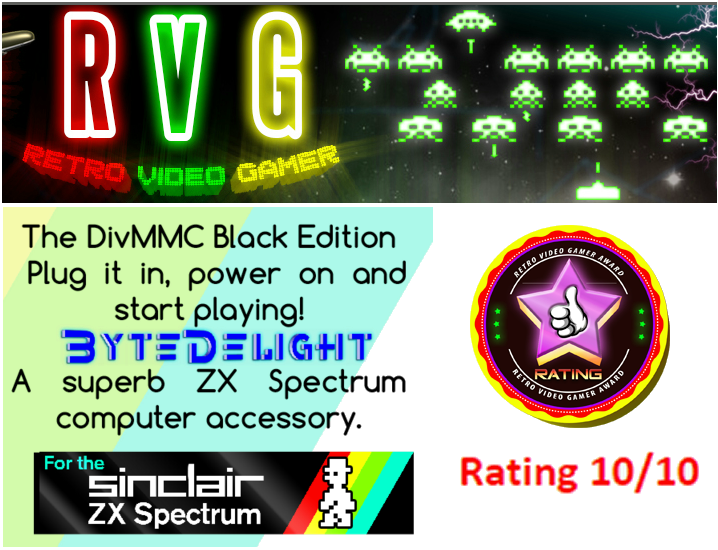 Read the review here: http://www.retrovideogamer.co.uk/index.php?page=divmmc.